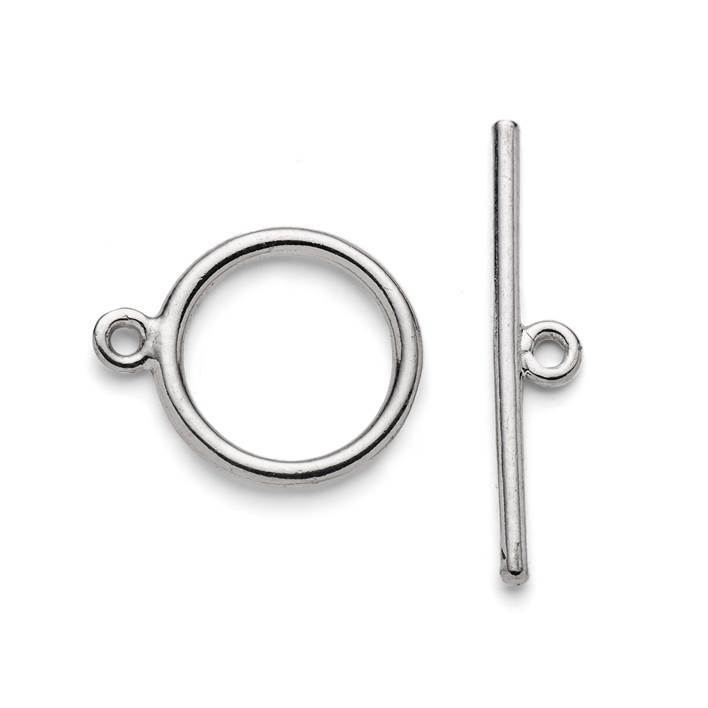 This sterling silver toggle clasp is a sturdy, yet delicate clasp. 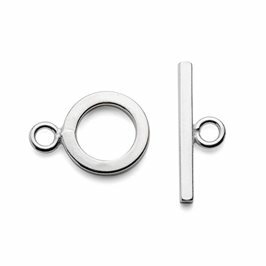 Toggle clasps feature frequently in contemporary jewellery and this nice plain clasp is secure, easy to fasten and looks great! 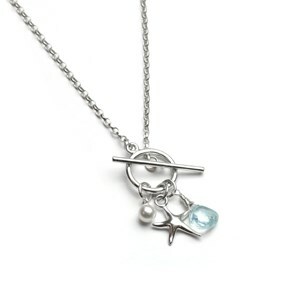 It is made from 1.5mm diameter wire, the ring measures 12.5mm across and the bar is 22mm long so it is strong but light enough to make it suitable for both necklaces and bracelets. 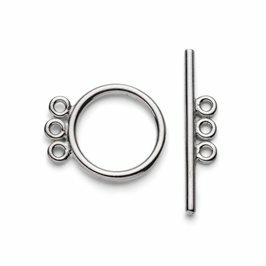 The rings on both parts of the clasp are soldered closed so there is no gap for fine threads to slip through, meaning that beaded designs can simply be knotted or crimped directly onto the loops. If you want to attach the clasp to a chain, simply use jump rings to connect the chain links to the clasp.